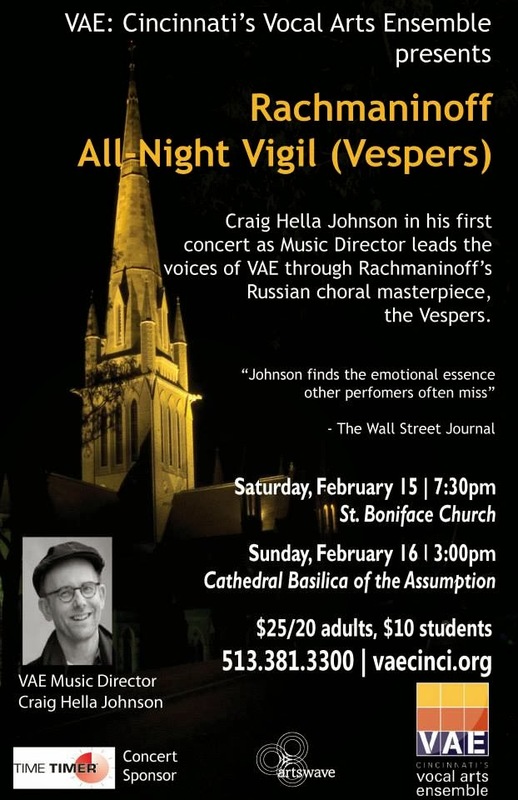 VAE: Cincinnati’s Vocal Arts Ensemble, will present Rachmaninoff’s monumental “All-Night Vigil” (Vespers) on Feb. 15 and 16. This professional chamber choir is led by internationally-acclaimed conductor Craig Hella Johnson, and features EKU choral conducting graduate assistant Hannah Draper Burnett in the alto section. Way to go, Hannah!